Richard D Souza (47), S/o Felix and Lilly D Souza, H/o Dolora D Souza, F/o Rochelle D Souza and Kenneth D Souza passed away on 19 January 2019. Funeral mass at *11am* on Monday, January 21 at Our Lady of Fatima Church in Majhiwada, Thane, Mumbai followed by burial at church cemetery. Sad demise Serpine Saldana Kinnigude Moodbelle. Rest in peace dear Mai. Whole life you lived for other s worked hard for your family. 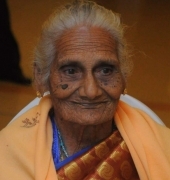 Dulcine D cunha (90) wife of Late Benjamin Lobo mother of Raymond/Nathal Lobo, Juliana/late Henry D souza, Late Daniel Lobo/Ida Lobo, John Lobo, Lawrence/Pramila Lobo. Grandmother of Veena/Rudolph Castelino, Flavia/Allwyn Mathias, Delen/Anup Lasrado, Daisy and Darryl Lobo, Lionel and Lemuel Lobo. Great Grandmother to Haniel, Macwin, Breven, Elisha and Melina passed away on 31 October 2018. H/o Late Hilda Monteiro, Father of Godwin, Edwin Kevin Monteiro, Son-in-law of Lilly Castelino(Moodubelle). Funeral Mass at Our Lady of Lourdes Church, Orlem, Malad West, Mumbai on Sunday (9th September 2018),12 noon. Remembering you on your 10th death anniversary. We miss you a lot. May your soul rest in peace. Jacintha Andrew DSouza, Antony Gracy Mendonca, Late Treeza Peter DSouza, Late Ida Mendonca, Rony Veera Mendonca, Violet Gilbert DSouza, Janet Louis DSouza, and Conrad Olivita Mendonca. Grandfather of Joylin Nelson Cutinha, Pramila Clarence Dsouza, Avinash, Glen, Aron, Avil, Lavita, Liliyana, Gleson, Rishel, Conroy and Glenita. and great grand father of Pearl, Mark and Hayden. Funeral services will be held on Wednesday 27th June 2018 at St.Lawrence Church, Moodubelle at 04.00PM. For any details please contact +91 99 01 833076 (Cony). Mrs. Dulcine D sa, wife of late George D sa, Mother of Late Lawrence/Hilda, Sr. Leena, Mary/Daniel, David/Rinna, Jerome/Sandra, expired on 26.April.2018. 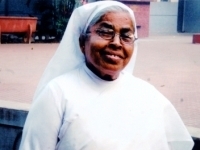 Funeral cortege leaves residence "Kattingeri House" for St. Lawrence Church, Moodubelle at 03:30 PM followed by Mass at 04:00 PM. 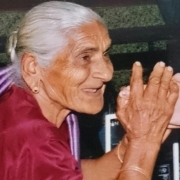 Sobina Menezes, better known as Mai, (87) wife of the late Simon Menezes [Menez Dhakther] passed away peacefully on April 19th 2018. May her soul rest in peace. Mai raised her family in Moodubelle/Boliye, and later on, in the United States. She is survived by many loving family members. Husband of Matilda Mathias, father of Alwyn/Savitha, Allan/Vineeta, Anusha, Grandfather of Adelyn Allister Mathias passed away peacefully this morning. Funeral details shall be announced soon. 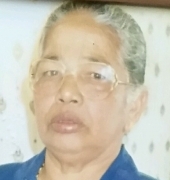 Rose Mary Fernandes(97) wife of late Emmanuel Fernandes expired on 01-09-2017. Funeral cortege leaves residence Jaddu House Marne for St Lawrence Church, Moodubell, at 3:30PM followed by Mass 4:00PM. Remembering you on your 9th death anniversary. We are missing you a lot. May your soul rest in peace.